Experiencing an exceptionally traumatic event can lead to mental health issues. It can result in flashbacks, nightmares, and severe anxiety that affects the quality of life of the individual and their overall well-being. The most serious of the trauma-inducing mental disorder is post-traumatic stress disorder (PTSD), which can last for months or even years after the inciting incident, interfering with day to day functioning. 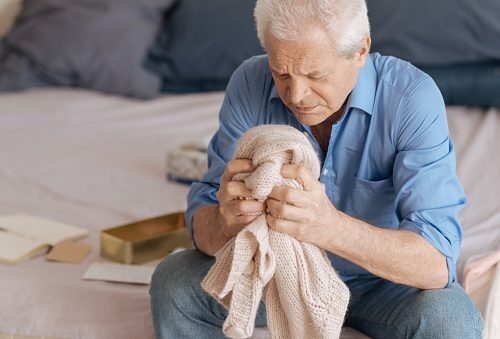 New research suggests that this disorder is a significant risk factor for developing dementia, a leading cause of serious illness, disability, and death. Intrusive memories: Unwanted memories of the event, flashbacks, upsetting dreams, severe emotional distress, or physical reactions to things that remind you of the traumatic event. Avoidance: Trying not to think of the traumatic event and the avoidance of places or activities related to such event. Negative changes in thinking and mood: Negative thoughts about yourself, feelings of hopelessness, feeling detached from friends and family, and memory problems including not remembering important aspects of the traumatic event. Changes in physical and emotional reactions: Easily startled, hypervigilant, trouble sleeping, irritable, aggressive behavior, and self-destructive behavior, including drug and alcohol abuse. As you can imagine, finding an effective treatment for such a condition can be quite difficult, but often involves a combination of psychotherapy and medication. Recently, a connection was found between the use of commonly used medication for PTSD— antidepressants, antipsychotics, sedatives, and tranquilizers—and an increased risk for dementia. This new study aims to explore this link. The study in question looked at information from over three million veterans aged 56 and older, with the vast majority being white males. From this sample of participants, 5.4 percent were diagnosed with PTSD. Participants took part in the nine-year duration of the study with regular follow-ups. The study also included veterans diagnosed with dementia. It has been established from previous studies that veterans with PTSD were more likely to experience health problems linked to a higher risk for dementia. This is thought to be a result of traumatic brain injury, diabetes, chronic obstructive pulmonary disease (COPD), psychiatric disorder, substance abuse, and other health issues. It was discovered that the use of certain medications in veterans increased their risk of developing dementia compared to the veterans who didn’t take them. These medications included selective serotonin reuptake inhibitors (SSRIs), novel antidepressants, and atypical antidepressants. Interestingly, this same increase in dementia development was seen in veterans taking these medications whether or not they were previously diagnosed with PTSD when compared to veterans who weren’t taking the medications. Further investigation found that three classes of medication were seen to increase the likelihood of a dementia diagnosis regardless of PTSD. These medication classes were, SSRIs, benzodiazepines, and novel antidepressants. The researchers believe that the psychoactive components of these drugs could be a driving factor for the development of dementia. They admit that more research is needed to further explore this relation of PTSD and dementia. With the recognition of causative medications, an investigation into proper dosage, frequency, and patient selection should be explored.